What On Earth is Happening at Bell? The Globe and Mail’s James Bradshaw reports that Bell Media President Kevin Crull banned CTV media properties from including CRTC Chair Jean Pierre Blais in coverage of the recent TalkTV decisions. 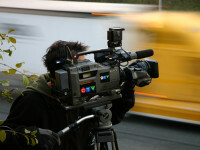 The report indicates that Crull ordered the head of CTV News to stop including Blais in coverage following an interview on BNN, which led to the cancellation of an interview with Don Martin and dropping him from local news stories (he was included in the national newscast as Robert Fife defied the order). Bell Media has still not publicly commented on the pick-and-pay decision. Crull is the same Bell executive who earlier this month called for the blocking of U.S. channels and for new measures to make it more difficult for Canadians to access U.S. Netflix. I would say the story is shocking, but this is not the first time of reports that Crull has meddled in news coverage related to his company. 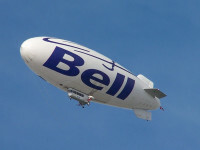 In August 2013, Dwayne Winseck reported that Crull intervened on coverage of the wireless sector when Verizon was considering entry into the Canadian market. Winseck posted emails from Crull to news executives throughout CBC urging certain coverage of a wireless report throughout Bell Media’s television and radio stations. I wrote about Winseck’s story here.